The white form is preset to search for SUV and crossover vehicles in the 'Rimini - Airport' rental office. Address: Desk In Arrivals Hall, Miramare Airport, Rimini, Italy. In Rimini, we offer vehicles at 4 different rental locations (see the links below). Normally, the best SUV rental offers in Italy are provided by offices located in airports and train stations. The most popular SUV models offered at rental locations in Rimini are: BMW X5, Hyundai Santa Fe, Suzuki Jimny, Hyundai Tuscon, BMW X3, Toyota Rav4 and others. If you plan to use an off-road vehicle in the mountains, it is recommended to order snow chains. This will save you from unexpected incidents. Other important equipment in Italy are mandatory child seats for travellers with children. OrangeSmile.com wishes you a safe trip and green lights on the roads of Rimini! Drivers, who received a driving license less than three years ago, have another limit of alcohol in blood. The allowable rate for them is 0.00 ppm. If the test result shows the level that is more than 0.00 ‰, but less than 0.5 ‰, then the amount of the fine will be from 150 to 620 euro. If the level of alcohol in blood will be more than 0.5 ‰, the driver will lose his driving license for a period from 3 to 6 years. It should be noted that local fines depend on the period of time, during which the violation occurred. For instance, during the period from 22:00 to 7:00 the fine for a certain violation of traffic regulations will be approximately 30% higher than the fine for the same violation committed in the afternoon. If you see the «zona traffico limitato» sign on your way, this means that there is a zone that is limited for vehicles. Entering this zone is only possible for an additional fee. As a rule, such signs are located near the central parts of cities and historic districts. The most interesting place for hiking is Borgo San Giuliano. Once it was considered a disadvantaged suburb of Rimini. Everything changed when the old district attracted the director Federico Fellini. Scenes of many famous films were shot there. Over the past decade, the quarter has transformed beyond recognition. Nowadays, the facades of its miniature houses are painted in all colors of the rainbow, and the facades of some houses adorn the frescoes. Many historic buildings have been completely restored. 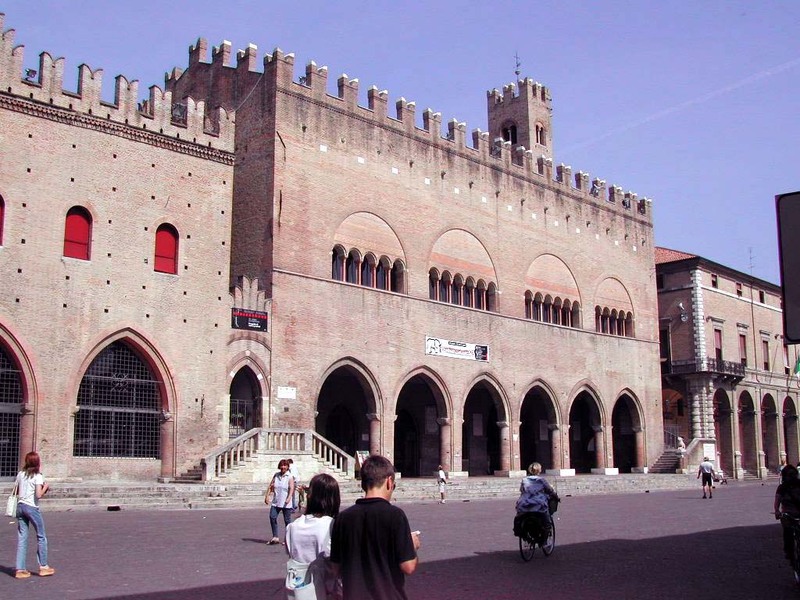 At present, Borgo San Giuliano is considered one of the most prestigious areas of Rimini. 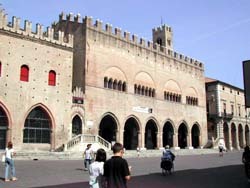 The focus of unique historical monuments is Cavour square. Nearby, is the building of the city theater, and beautiful palaces erected during the Middle Ages. The main decoration of the square is a luxurious fountain made of white marble. It was installed in the 16th century. Several times a week, a market runs on the square. It is also historical and has been continuously operating for more than 200 years. One of the most ancient buildings in the city is the bridge of Tiberius. It was built far back in the 1st century. The original bridge has survived over 500 years. It was heavily destroyed in the 6th century, during the battles with the Goths. The historic landmark was completely restored only by the end of the 17th century. Nowadays, it is open to vehicle and pedestrian traffic. From the bridge, you can make very beautiful panoramic pictures of the city.